A pretty entertaining movie, this one has our hero go to japan and get mixed up in a conspiracy involving mutants and ninjas. An interesting take on the superhero action movie, this film combines genres in ways that really meld together nicely. It’s got loads of action combined with a mystery noir storyline and a Japanese samurai / ninja atmosphere. What a combination. leave it to director James Mangold, who specializes in genre hopping (Copland, Girl Interrupted, Identity, Walk The Line, 3:10 To Yuma), to make it work. The movie is dark and gritty in all the right ways, and even though it caves in favor of cg effects, by its end, there is just so much to like here, that it’s easily forgivable. Mangold really gets things right, including a story that has multiple enemy organizations with their own interests, and lots of mystery about what those interests are. the dialogue is the weak point, being overly corny, but other than that, the film is pretty good. Wolverine has always been one of the coolest characters of comic book lore, and 20th century fox (the studio behind all X-Men films) has had its struggles with knowing what to do about that. He was the breakout star of the original x-men trilogy, and it was the role that made Hugh Jackman a name (it was originally supposed to be Dougary Scott as the character, until his Mission Impossible 2 role went over it’s shooting schedule.) Jackman owned the role, becoming one with it, to the point where he really seemed like the angry tough guy who had no sense of humor, little respect, and a ferocious, rage-filled temper. The Wolverine is pretty close to the movie that we’ve been waiting for. It’s a follow up to x-men 3 in the chronology of things, and it’s the movie that the Gavin Hood Wolverine film should have been. It’s dark and gritty and intense in all the right places. It doesn’t go for magic or things flying into the air at all. Instead, it goes for a samurai / conspiracy and mystery story. It goes for a film noir situation, and is even smart enough to strip wolverine of his healing abilities in order to make the character more vulnerable. 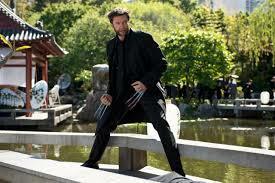 The movie begins with a flashback to wolverine during the time of World War 2, in Japan. He’s there when the atomic bomb goes off in Nagasaki, and he saves a Japanese soldier from death, by slamming the man down a well, and then covering him with both rock and his body. Right away in that opening scene, you can tell that this movie is going to be more graphic than any other x-men movie. There are the three Japanese warriors who take their own lives, slicing swords into their bellies, and then there’s the way wolverine looks after the bomb goes off, all charcoaled and burnt to a crisp. His healing takes over from there, but we already have a taste of what this movie will be like with its tone. Opening in Nagasaki during the atomic bomb is taking a page from Bryan singer’s first film, which opened in a concentration camp during the holocaust. These scenes are creating immediate realism, by setting the movie in history and in horrific moments of humanity. The current story starts with wolverine and a bear, out in the wilderness, and even that bear looks fantastic. It is huge and real looking, and wolverine has to put it down. Once again we are getting gritty realism instead of the usual superhero popcorn fluff. Wolverine goes after the hunters who poisoned the bear, and this leads him to meet a Japanese girl who comes to see him, and gets him out of the bar fight that was about to ensue. She pulls out her sword, does a few cool slices, and then takes him away. This woman is yukio, and she is working for the most powerful family in Japan. The grandfather figure is the man who Wolverine saved all those years ago, in Nagasaki. He is sick and dying and wants to make a deal with wolverine. He wants to trade places with him, so that wolverine’s healing abilities and youth will go to this old man, and wolverine can live out his mortal life and eventually die like everyone else. Wolverine rejects the offer and the old man passes away. The man left everything in his name to his granddaughter, and before his will can be read, there is an attack at the funeral ceremony. A bunch of disguised warriors attack and wolverine manages to save the granddaughter with the help of a lone archer who hides on the rooftops. The scene is fantastic and long, just the way we want it to be. The action takes place in all different rooms and areas, and by the end of it, wolverine and the granddaughter are on the run, high tailing it on a bullet train. We get our next action scene right there, on the roof of the train. It is again fantastic. Director James Mangold is a marvel, ever since he made his breakout movie, Copland. He’s more of a genre hopper than any other filmmaker in the business, and he knows how to maintain a serious tone despite the genre, so long as that’s what he’s going for (in his one lousy movie, knight and day, it wasn’t). Here, in the wolverine, mangold combines the gritty noir genre that he was using in Copland (his best movie to date) with the superhero genre. And it works. The mystery angle involves all different parties who are either trying to kill or to kidnap the granddaughter for unknown, hidden reasons. There is her father and his soldiers. There is a clan of ninjas, and then there is a female scientist named the viper and her creation, the giant robot silver samurai. The fights in this movie are fantastic, and so is the storyline. Mangold has crafted some wonderful scenes here, including one where Wolverine has to go inside his own body, in a moment that reminded me of tony stark, in Iron Man, having to hook up his chest and get it started, before he passed out. The scene also reminds me of one in Ronin, the Robert denior film, where the spy had to remove a bullet from his own body. That’s a cool reference because this movie uses the idea of a Japanese “Ronin,” quite a bit. A ronin is a samurai warrior without a master or a purpose, and that is what wolverine has been branded here. The movie also uses the Yakuza (Japanese gangsters), as well as ninjas. Basically, it’s got it all. This film is very dark, just the way it needed to be, and the atmosphere is fantastic. In the later climactic scenes, the film opts out of the real hand to hand action it was going for, and replaces them with chi, and you can tell the movie is caving into the big budget superhero genre more than it is sticking to it’s guns. Striving for realism the whole way through would have been greatly preferable. The ending is not bad; it’s just not as great as the rest of the film. The fact that this movie has the action down and combines it so nicely with a noir mystery story is impressive. 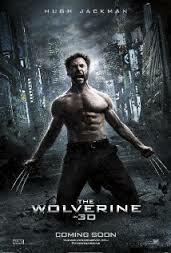 The dialogue is the weakest element of the film, with wolverine and others muttering off some pretty corny lines, just for the effect of sounding tough. Short of the dialogue however, this is a pretty good movie.